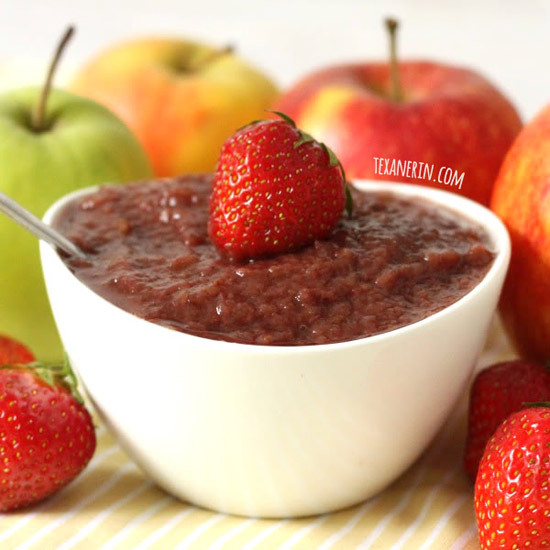 This strawberry apple sauce is naturally sugar-free and quick and easy to put together! I almost didn’t post this strawberry applesauce because the color is so unpleasant. I thought this would be a pretty pink color, but no. Four hours later, I got this funky colored strawberry apple sauce. Bla. I swear – it tastes a lot better than it looks! It turned out to be really sweet and sugar definitely isn’t needed. I did use super sweet strawberries, but I can’t imagine needing to add sugar. I just added the apple juice because I had some sitting in the fridge that I wanted to get rid of. I can’t imagine it’d make such a huge difference, but as I’m not sure, I’m leaving it in the recipe. Now that I’ve made this strawberry apple sauce, I want to try other kinds of flavored apple sauce! Do you have any favorites? I’d love links! Update: For a non-crockpot version, check out my sugar free raspberry applesauce. Use strawberries instead of raspberries and you have a much quicker version! Combine everything in your largest pot and cook, covered, over medium heat for 3 - 4 hours (it'll depend on how thick you want it). During the last hour, I took off the lid in hopes of getting it a little thicker. And it was thick! Or if you have a gigantic crock pot, cook on high in your crock pot for 4 hours. I really doubt all of this could fit in a crock pot, though. You could easily halve it. After it cooled down a little, use an immersion blender or a food mill to get it really smooth. Let it cool completely, place in a jar, and refrigerate for one up to one week. Freeze any leftovers after that. You need the peel. It adds pectin and it'll totally break down during the cooking process. I never eat the peel but you really can't tell it's here. 20 comments on “Sugar-free Strawberry Apple Sauce” — Add one! Apple sauce! And no sugar! Wouldn't this be perfect for a substitution of butter too? You made it look so pretty despite the color! Looks really delicious to me though, and I love that there is no added sugar. Jessica – What's weird is that it turned out really sweet. I don't understand why the apple sauce companies have to add sugar! This is great! I love strawberry apple sauce and I like how this doesn't have added sugar! i actually love the color! i must've eaten homemade berry-applesauce growing up, because the color totally triggered a childhood memory for me. 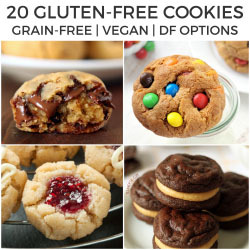 i think it looks fab + i love that it's sugar-free! Love that this doesn't have sugar! Ohh lovely recipe. I'm a sucker for good applesauce! Honey – Sorry I missed your comment! You submitted just before me. :) And thanks! You should try it. Even the stuff from the grocery store is yummy! Marta – Haha, well the boring strawberry sauce is still coming! I wrote two posts last night. :) And yay strawberries! Karl's (they have those stands) went from 4.50/kg to 5.00/2kg overnight. At least in Mitte! 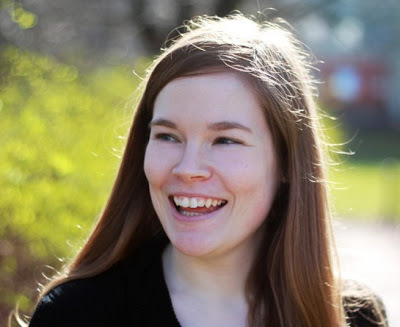 Cassie – Thank you! Me too. Which is why I was bummed I didn't have loads of the stuff! Miryam – When did you live in England?! I didn't know that. And it would be great to just have apple trees everywhere, wouldn't it? And does apple pie use so many apples? I haven't made it in such a long time. That sounds like a yummy idea. Now I want pie! 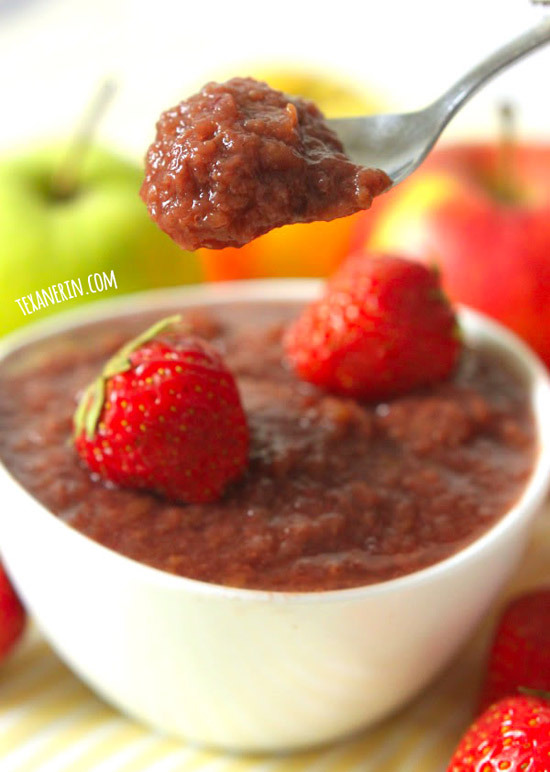 wow, never ever made or ate strawberry applesauce, looks insanely good. Anyhow, I like how this has not sugar added and the fact that it is mixed in with the strawberries. Great recipe!! This is a great recipe, Erin! I love apple sauce! And you wrote that you made a boring strawberry sauce. Girl, it's with apples, so it seems like I'll have another jar full of a strawberry-apple sauce in my fridge. Go strawberries!